Just wanted to say Thank's to Orin for his donation to the clan. 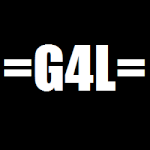 Donation's are alway's helpful and they ALWAY'S get used for what their ment for with Clan G4L! Dont worry about it Wolf!